Mesut Ozil’s current situation at Arsenal ought to be a real concern for all those involved with the club. How Unai Emery handles the treatment of the German playmaker will be one of the main early tests of his reign at the Emirates Stadium. Ozil returned to the North London club at the start of this season off of the back of a torrid summer. The 29-year-old was part of the German national team squad that crashed out of the World Cup in the group stages. 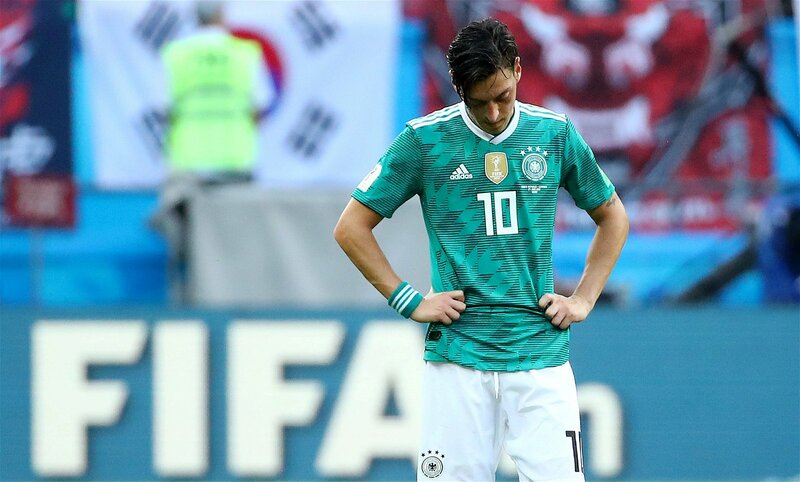 It was a disaster for the national side, and despite creating a number of chances that his teammates repeatedly spurned, Ozil himself was singled out for criticism by much of the media. Not long after the curtain had fallen upon the tournament in Russia, Ozil took to Instagram to announce his retirement from international football. His message cited racial discrimination he had suffered at the hands of the German Football Association, and in particular from its president, Reinhard Grindel. The backlash to this announcement has ranged from heartfelt support to further criticism of the Arsenal man from those who refute his claims. Even in these early stages of the new campaign, it is clear that Ozil is still out of sorts. Against Chelsea, the German put in an utterly anonymous performance before being hauled off with more than 20 minutes still to play. In over an hour of football at Stamford Bridge, the Gunners’ No. 10 managed a mere 29 touches and didn’t play a single key pass. For the following fixture, at home against West Ham United, Ozil was ruled out with illness. However, ESPN journalist Joao Castelo-Branco reported that the German’s exclusion was in fact due to a bust up with Emery when he heard he was to be amongst the substitutes and subsequently refused to attend the game at all. Emery has categorically denied these rumours, but it certainly seems as though things aren’t all quite right with Ozil at this time. Since taking up the hot seat in North London, the Spanish coach has had to field plenty of questions about the wellbeing of the creative midfielder. In the aftermath of Ozil’s retirement from international football, Emery said that he wanted Ozil to feel at “home here with us – like a family” and that the club were “going to help him feel good”, as reported by the BBC. Although Emery’s English is still very much a work in progress, he will have known that those were particularly emotive words to use when talking about his player’s condition. 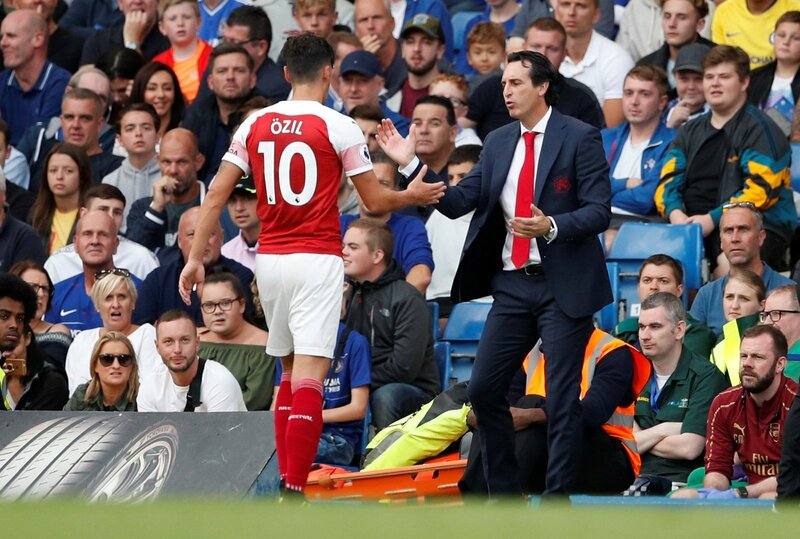 Emery’s words suggested that Ozil was, understandably, struggling in some way. He likely still is, which may well be affecting his form on the pitch. If Ozil has returned from illness in time to face Cardiff City this weekend then it will be fascinating to see if he is included from the off. If he is, it would be a big indication that Emery is prepared to invest his faith in the German, and that kind of vote of confidence could be exactly what Ozil needs following the intense criticism he has faced in recent months. However, beyond issues of form, confidence and fitness, the question remains as to whether or not Ozil actually even suits the style of play Emery is currently attempting to implement at the Emirates. The manager has made no secret of his desire to build an Arsenal team that presses hard and high up the pitch, and works together as a cohesive defensive unit. In Emery’s teams, everyone is expected to fully understand and commit to their defensive duties. Ozil’s attributes, for all of his undeniable technical excellence, may not be conducive to this style of football. The former Real Madrid man must prove that he can function effectively within Emery’s tactical set up. The boss is extremely unlikely to be willing to compromise upon his principles in order to accommodate the midfielder. Should it prove that Ozil doesn’t fit into Emery’s system, the consequences for the club could be disastrous. The ink is barely dry on Ozil’s current contract with the club, which is worth £350,000-a-week, according to The Telegraph. The deal runs until 2021. The idea of the German being surplus to requirements at this stage is not one the club will wish to countenance. Arsenal’s options for offloading Ozil appear thin on the ground. Of all the clubs in world football who could afford his transfer fee and wage package, almost every single one already has a star player in his position. What’s more, Ozil is currently out of form and not exactly living up to his wages, so it would make no sense for another club to take such a risk on a player approaching 30. This state of affairs leaves Arsenal, and Emery, with no real choice other than to make Ozil work well within this team. This process of integration may require faith and patience, but if Ozil can come good for Arsenal then he remains a player capable of leading them to silverware. Whilst he shouldn’t be pandered to, the team set up can be designed so as to get the best out of Ozil. Playing him in his preferred central position and surrounding him with mobile players he can combine with is a must. Without doubt, Emery faces a challenge to get the best out of Ozil this season, and failure is simply not an option.